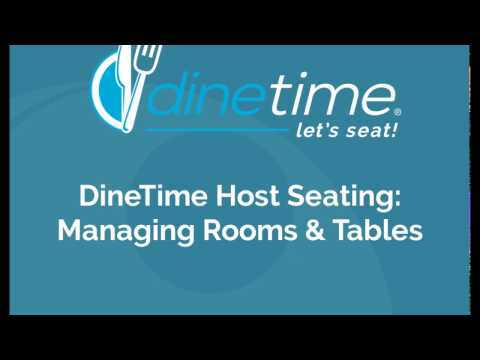 Using the DineTime® Host guest book, you can view all guests, notes, favorites, and details for the diners you record coming into your restaurant. Users may add new guests to the guest book using the “add” button. 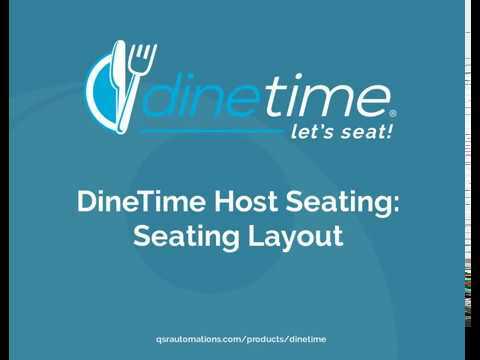 Use the “Analyze” tab to view your restaurant’s information by day, week, or month, and view seating opportunities, party size mix, guest numbers, and more. Select the “Add party” button. 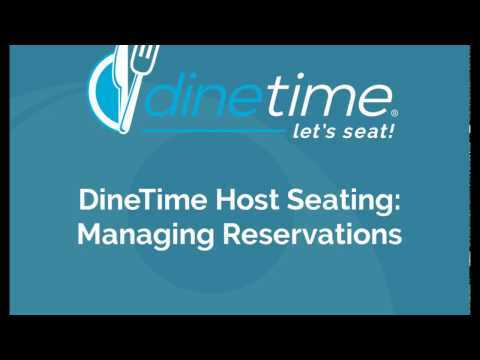 Choose the reservation date, session, and seating area. Choose the party size, reservation time, and enter the name and email of the reservation party. Click the blue checkmark to save the reservation. The reservation may now be viewed in the “Reserved” tab. Choose “Listing by Time” or “Listing by Table” tabs. Select the reservation you’d like to check in or seat. Assign the table for the reserved party. Choose the appropriate check-in option. Select the reservation you’d like to manage. Choose the dining room you’d like to view. Select the display option you prefer. If the table has no current parties, you may change this table’s status to “closed,” change the status to “open,” seat a party at the table, or mark the table as dirty. If the table has a current party, you may add or subtract tables, move the party, mark the table as dirty, mark the table as clear/dirty, change the party status, return a party back to the wait list, and add upcoming parties. Choose a table on the map. 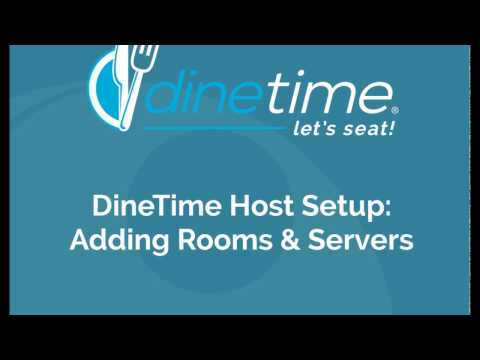 There are 6 tabs in DineTime Host that let you perform different functions. Reserved: This tab allows you to view current and upcoming reservations, and to add a reservation. Waiting: This tab allows you to add a party to your wait list. Seated: This tab allows you to view seated parties and to seat parties from your wait list. Finished: This tab allows you to view all parties who completed their dining experience, walked away, no-showed, or canceled. 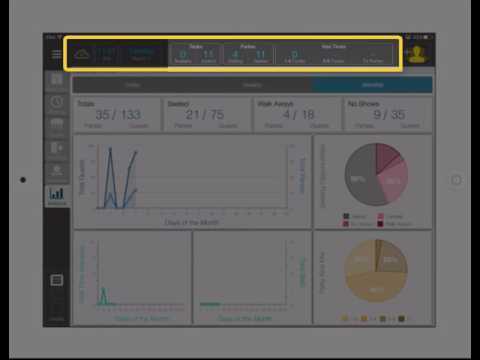 Server/Sections: This tab allows you to view and assign server section shifts. 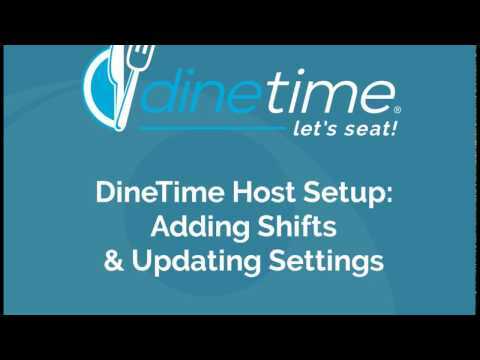 Analyze: This tab allows you to view and analyze data gathered within DineTime Host. Select the Menu icon in the top left. Select Rooms from the Menu. Click the “Add Room” button. You may add up to 6 rooms per restaurant site. Enter the name for the room and select a background. To add tables to the room, select the Tables tab. Choose the seating area, table name, etc. To add structures, badges, or landscapes to the room, use the Shapes tab. To update the background for the room, use the Textures tab. Select Server Book from the list. Choose the Add Server button to add servers to the server book. Select Shifts from the Menu. Add a shift using the “Add Shift” button. Name the shift and select the shift type. Select the “Add Servers” button on the bottom left of the screen. Add appropriate servers to the shift. Select the section to edit. Choose “Assign Tables” in the pop-up. On the Assign Tables screen, you can select or deselect tables to associate with the section being edited. Navigate back to the Seating Layout in the Menu, and select the “Servers/Section” tab to view the new shift edits.